Is diatomaceous earth suitable for use in livestock operations? Finding reliable scientific sources about supplements is important. Using diatomaceous earth in livestock production is popular among some producers. Although the practice of supplementing with diatomaceous earth (DE) is common, scientific research consistently shows DE is ineffective as a standalone treatment. Anecdotally, the product is an impressive jack of all trades. However, in practice, there are many variables to account for before jumping on the DE bandwagon. Livestock producers have a strong local research and extension network to turn to when deciding whether to incorporate new practices such as using DE as a feed supplement or as a natural insecticide. Examining potential benefits and current research is vital when separating hype from fact. What is DE slated to do, and is it a viable supplement? The substance itself is unique, due to its abrasive and absorbent qualities. DE is made up of diatoms, or aquatic microorganisms comprised of silicone dioxide. The inert dust is harvested from sediments found at the bottom of oceans, lakes and rivers around the globe. Tiered grades are available for purchase. Food grade DE is recommended for human and animal consumption. Because the dust is so fine, consumers are encouraged to wear protective respiratory equipment when applying DE, even when using food grade versions. DE is slated to control internal and external parasites when used in place of, or in conjunction with, other parasite management practices. DE is also marketed as a natural insecticide, anti-caking agent, filtration and pelleting aid. There is debate over the benefits of DE, which are hard to pinpoint. Considering the myriad of variables at play on an average farm or ranch, identifying beneficial practices becomes a challenge for producers. Use of the supplement also varies among domestic species. 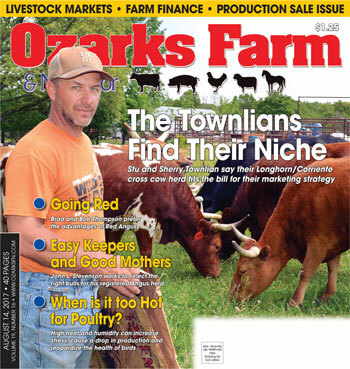 Local livestock and poultry experts weigh in on the topic. In small ruminants, the powder is approved as a feed supplement, if the correct grade and ratio is used. Producers may sprinkle the powder around feed, directly mix it into the feed as a dewormer or dust it along animals’ backs to control parasites. Linda Coffey, agricultural specialist for the National Center for Appropriate Technology’s sustainable agriculture assistance program called ATTRA, explained that she has heard of the practice of using DE in livestock production, but she encouraged beginners to remember that no practice is a cure-all. Coffey pointed out that using DE as an insecticide is not backed by research and that beginner or seasoned producers, can benefit from a healthy dose of skepticism. The main tennets of DE use are that the abrasive and drying qualities will affect larval growth. However, the concept is unproven. Sorting out cause and effect is difficult because of the variation between species, seasons, management practices and so forth. Based on experience with producers, Coffey noticed that the most successful producers employ a broad range of techniques that, as a whole, contribute to animals’ well-being. So how do producers decide for themselves when a practice is widely touted and so loosely supported by science? Coffey recommends small scale producers set up their own informal experiments and plug into their local community. 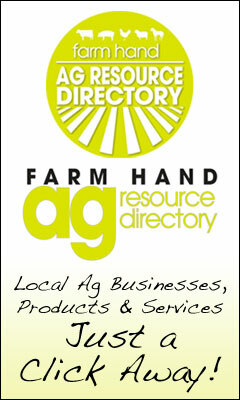 In addition to local Extension services, growers can access tip sheets for management practices on the livestock page of the ATTRA website (www.attra.ncat.org). Coffey recommended “Managing Internal Parasites in Goats and Sheep” and “Managing Internal Parasites: Success Stories” as a starting point. Coffey also suggested the American Consortium for Small Ruminant Parasite Control as an online resource. Mites, fleas, lice and other external parasites, in chickens, may gather around a hen’s vent. Small producers often use diatomaceous earth to control these external parasites. DE is touted as a parasite management method, but confusion surrounds how the product actually affects parasites. Susan Watkins, distinguished professor of poultry science at the University of Arkansas, said there do appear to be anecdotal benefits to using DE as a natural insecticide, although internal benefits are limited. When mixing DE into feed or dust baths, the properties create an inhospitable environment for parasites. Watkins said the DE itself does not kill external parasites directly, but rather, indirectly. “The diatomaceous earth flour is hydrophilic, so it actually dries the bugs out. If it comes in contact with them, it pulls away their body fluids,” said Watkins. Experimenting with various techniques, ratios and products can allow producers to determine what works best for their flock. Additionally, DE may have some competition with sulfur, which is also readily available at local supply stores. “As a dust bath, [DE] can be very effective, but not as effective as sulfur,” said Watkins. Backyard producers can create a dust bath for their chickens using a 1:1 ratio of DE and sand. Poultry growers should note that DE’s main strength is its ability to absorb. Watkins specified that DE is most effective when it is dry. “If the DE becomes wet, it will regain its properties upon drying out,” said Watkins. Watkins recommends using food grade DE flour for the health of the flock.